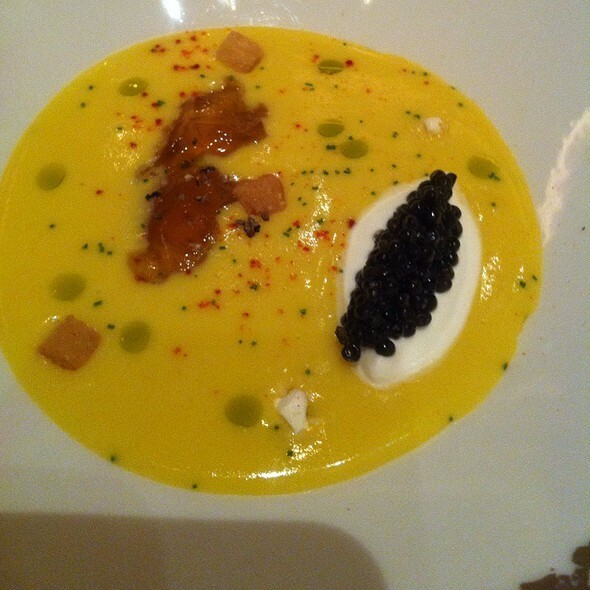 You must make reservations at least 5 minutes in advance of the time at Joel Robuchon - MGM Grand. Choose from the multi-course tasting menus or order a la carte. 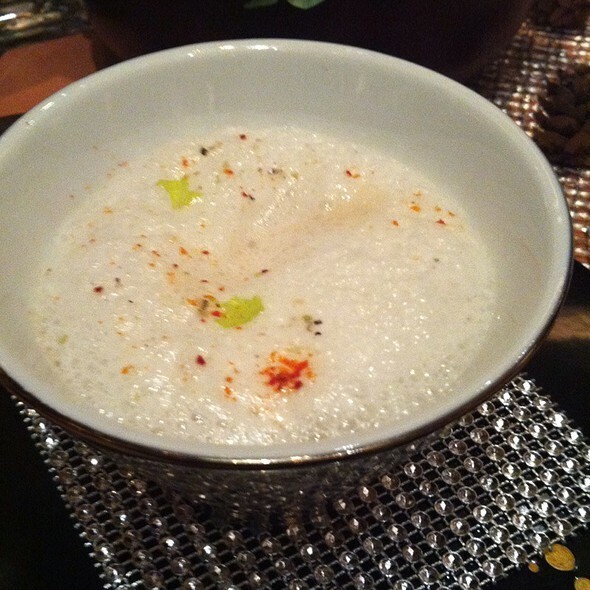 Specialties include Le Caviar, a trio dish of thin couscous and Oscetra caviar, smooth cauliflower cream, and delicate gelée of green asparagus. Outstanding dining experience! We had the full tasting menu, and every course was fabulous! I wish the water was included with the meal. It made the experience not as enjoyable when you're hit with a bill at the end for something you expect free of charge. For that once in a lifetime experience, $250-500 per Person will garner you an unbelievable bread cart, pastry/dessert cart, impeccable service by a rotation of experienced and courteous servers, beautifully plated food with interesting flavours and textures. A gorgeous dining room and ambiance complete the experience. Seems a much better investment than the sAme amount you could lose at the casino without getting anything! Been here a few times. Everything is very good, some things outstanding. Would like to see more reasonably priced food+wine pairing options. French wine prices have become a problem for US based restaurants. Absolutely perfect! We did the 16 course tasting menu and it lived up to the hype. From the amazing wait staff, to the oppulent flavors, to the uniqueness of the pairings...I can't say anything other than you will feel and taste a truly royal world-class experience. This is my third time dining at this restaurant and the second time I have indulged in the chef tasting menu. I must say dinner was on par to my last experience but I was disappointed in the final dessert course. The final desert has been a true work of art. This time I was truly disappointed. Although it tasted fine, it was not the usual level both taste and artistic flare that I have experienced in the past. Our reservation was very late and we were the last ones in the restaurant. Maybe they ran out of the wow! Great service, food was prepared perfectly and presented perfectly. This dining experience was one of the best of my life. The staff was knowledgeable, friendly and professional. The presentation and ambience was beautiful and meticulous. And the food was like artwork, but also delicious. It's not an experience I'll soon forget and I'm grateful to have had it. 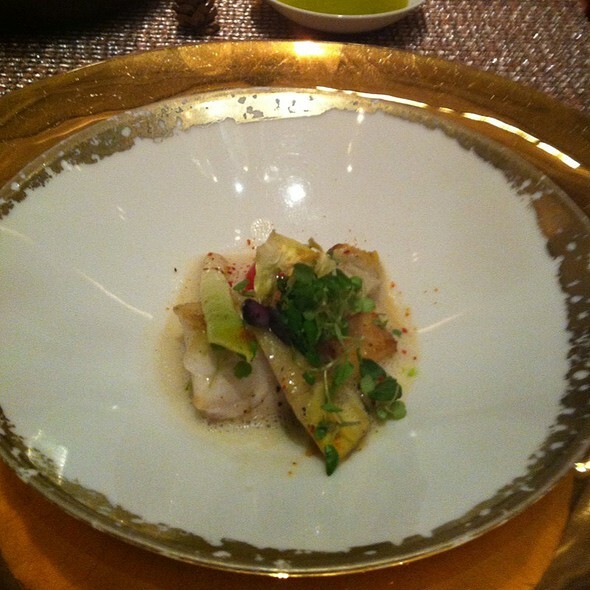 The experience at Joel Robuchon was nothing short of exquisite. Each dish presented was both masterfully executed and delicious. My husband and I dined here during a trip the Vegas and were astonished at the art we were consuming. For those considering a reservation here you must expect a high price tag, which is well worth the culinary journey. My only constructive comment for the restaurant is the whisper-like volume among staff and guests gave the atmosphere an almost stuffy air. 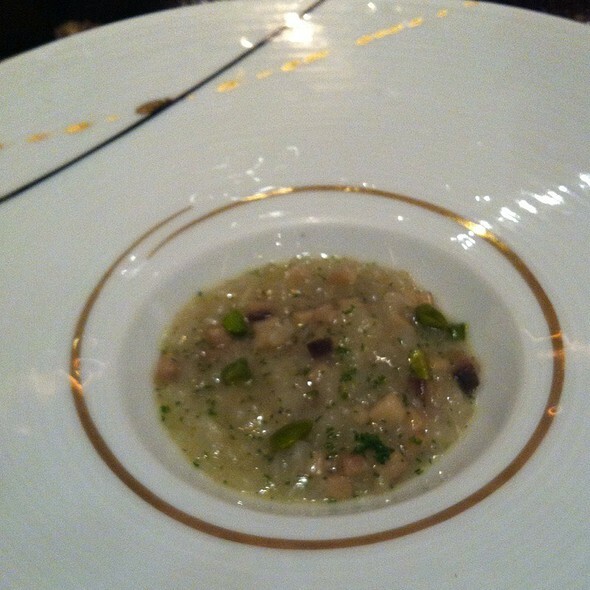 Despite this small criticism, we had an unparalleled experience and would recommend Joel Robuchon to anyone. Absolutely amazing! But it does seem to be for a certain clientele. My husband felt a little out of place. This was my second time here and the experience was great. The food was delicious. My favorite dish is the chicken, but I did not get enough🙁. The soufflé is the best dessert ever! And, the assortment of breads—to die for! This was, without doubt, the most outstanding restaurant experience I have ever had. Every course was uniquely incredible, the service team was extremely thorough, attentive, and informative, and the ambiance was extraordinary (I was afraid of bright, floral colors, but was pleasantly surprised by a darker wine-burgundy theme throughout. It didn't hurt that our table happened to be in a small and secluded area separate from the main dining area. I will never go to Las Vegas again without reserving a table at Joël Robuchon. The restaurant seems contained in its own world, and it's one I absolutely cannot wait to visit again. It's a place for collecting memories, not pictures. I only wish I could give it more than five stars. This was an amazing experience! Once in a lifetime! Wonderful. The vegetable work was amazing. Wonderful dinner. I would highly recommend it. I would only have one negative comment. There's no reason to mark the wine up as much as they do. I actually had to all if I was reading through the magnum selection. Nope! We are not cheapscapes. I have no problem paying $500 for a bottle of wine when it's a $500 wine. In fact we did but two bottles like that and it was wonderful. Just overpriced for what it was. Our bill for three people was right at $3600 after tip so do be prepared. That is too be expected though at a 3 Michelin Star restaurant. Enjoy! You will love the experience. After informing the Maitre d' that we were in no hurry, no show reservations or other conflicting scheduling, it seems that this request was not forwarded to the waiter. After the first course showed just after drinks arrived we asked the waiter to slow things down...at least until after wine was ordered. Two more courses arrived in quick succession before I had time to select a wine. I finally had to send the third course back in order to make room for the wine list and hoping the staff would adjust their timing. By this time the Maitre d' was ignoring our table. The timing was immediately slowed down...to 40 minutes between courses. Later courses were finally adjusted and we ended up finishing in around 5 hours. Most of the food was very good though not up to the standards of a 3 star Michelin restaurant and I definitely have experienced better cuisine in many of the 1 and 2 star establishments I have eaten at in the US and Europe. Not sure how this restaurant achieved a 3 star Michelin rating...but I guess that's Vegas. Beautifully presented and impeccable service! The food was amazing as well. A wonderful experience. Absolutely amazing. Sitting on the terrace part of the restaurant with the garden wall and flowers made you feel that you had been transported to a beautiful roof top. Waiters were kind and attentive... food was amazing. We wanted to try the best restaurant in Vegas and we were not disappointed. From the wonderful decor, to the service to the food, EVERYTHING is outstanding and certainly deserving of the Three Star Michelin rating. We were treated like royalty and even given a tour of the kitchen by the resident Chef (certainly something to ask for). After eating at several Michelin Star restaurants in Chicago and California, I can say that Joel Robuchon is top on our list. However, this kind of service and food quality comes with a high price ($800 for two with wine and several supplements on the tasting menu), but I will certainly come back. For a Foodie, this place is as good as it gets. My first ever Michelin 3-star restaurant experience. Everything was top notch. They even surprised me with a beautiful complimentary birthday cake! If there were an option to select MORE than 5 stars we definitely would. 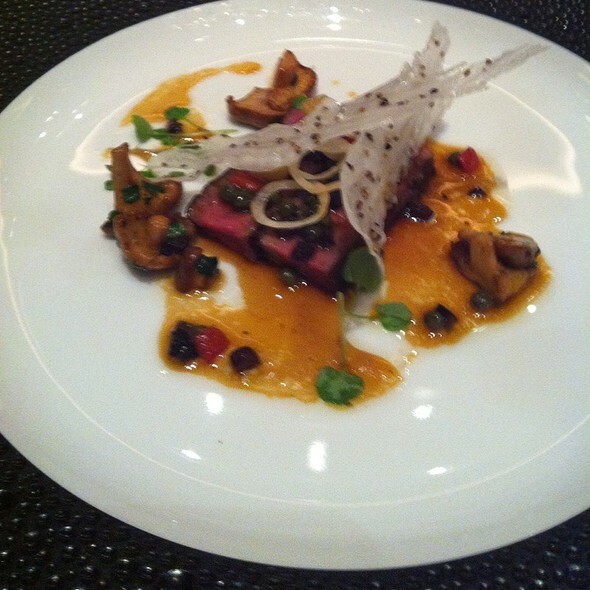 No dining experience has ever come close to the one we had at Joel Robuchon. From the moment we stepped in to the restaurant we were treated with the most exceptional service and attentiveness...It was absolute perfection from start to finish! We selected the chef’s tasting menu comprised of 17 tastings plus wine pairings. A truly once in a lifetime experience that we will never, ever forget. 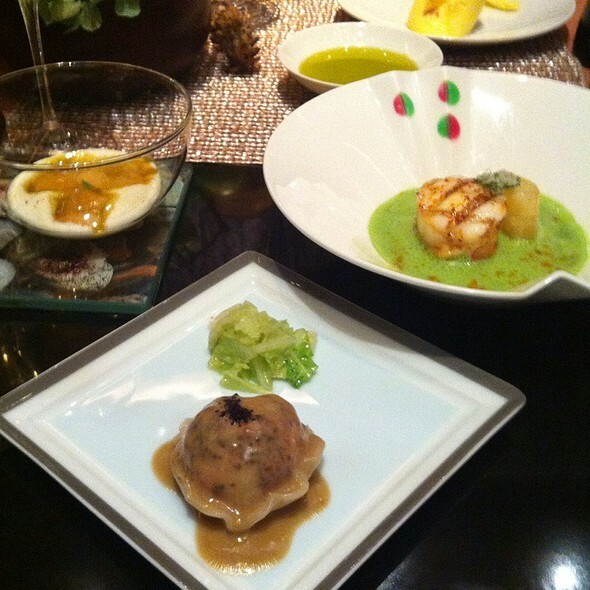 Chef Robuchon would be so exceptionally proud of the work that his team is carrying on. We only hope to return again very soon, and next time with another couple to enjoy it with!! Thank you so very much, nothing will ever compare to this experience. We ordered the 4 course menu with 2 appetizers, 1 entree, and 1 dessert; all of the menus also included an amuse bouche. Amazing food that is artfully and beautifully presented. The hand-churned butter from Brittany and Spanish olive oil (robust olive flavor) were the best of either I've ever had. If I hadn't been so full, I would've asked for more bread just to finish off the butter and olive oil. 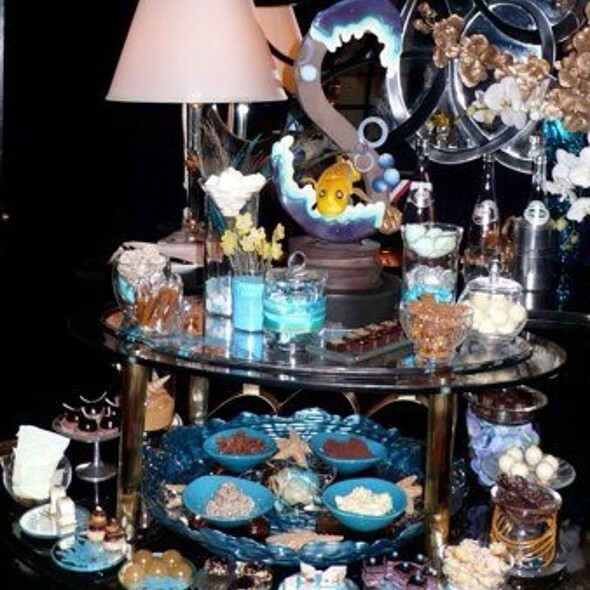 Likewise with the mignardise cart - if I hadn't been so full, I would've asked for 1 of each kind. Thinking we were finished eating, we were pleasantly surprised by the "party favor" of pound cake for each of us - I was eating pound cake the next 2 days. Would definitely come back to try the other selections. 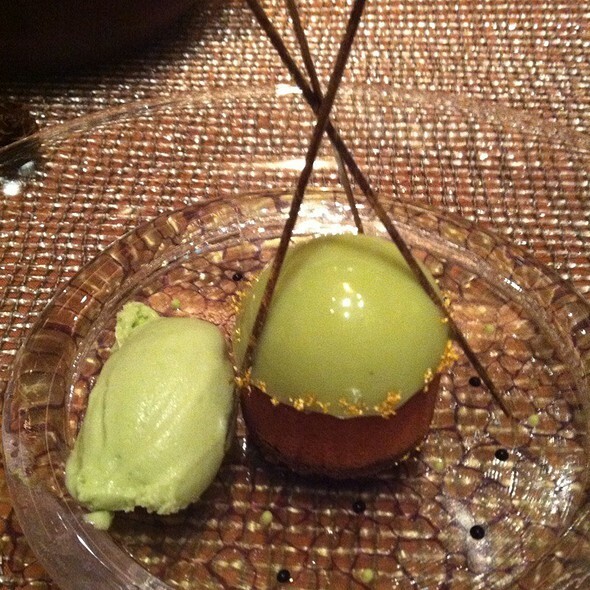 Dining at Joel Robuchon made a special occasion even more special. The food, service and atmosphere were impeccable. Thank you for a lovely evening. Food is great, but definitely not worth the price. There are plenty other better options in Vegas. Was always told to come here after going to L’atelier and this did not disappoint. Found a new favorite restaurant for when in Vegas! The creativity and taste of the food match the 3 Michelin stars! The service was outstanding- it truly made our day! Exceptional all around. Magical meal. Attention to detail was beyond what I could have imagined. Remarkable. Second visit and not the last. Impeccable quality experience. Food, service, environment unlike any location in FLV. Perfect for a special occasion with that special someone. 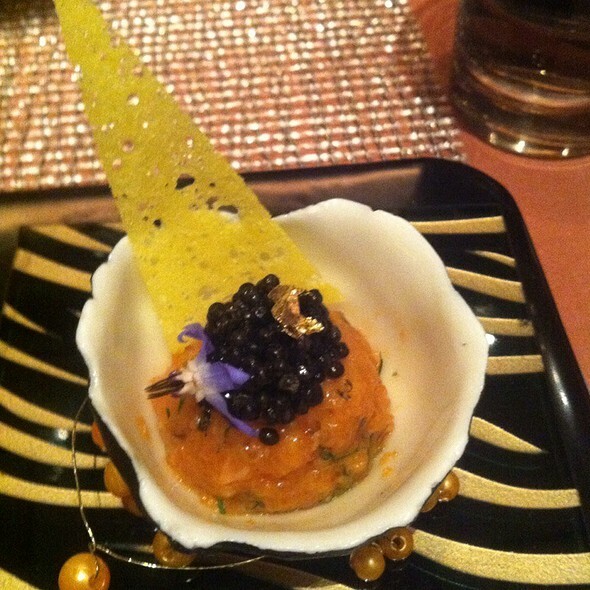 This was my fourth visit to Joel Robuchon this year. There’s really nothing like it. Amazing food and even more amazing service. Great food! Gorgeous place! But members were not really care of us. They care about restaurant and not how their customers are. The whole atmosphere is about how great is restaurant, not how to make the customers happy there. And it's so, so expensive! Will never go there again. I like everything of this restaurant. The food, the service, the ambiance. Especially the sweet cart which bring a prefect completion to the meal. Also a great surprise to receive a delicious complementary lemon pound cake to take home. Although it is a bit pricey, but worth every penny of it. Definitely will visit again.